Happy International Tea Day, everyone! 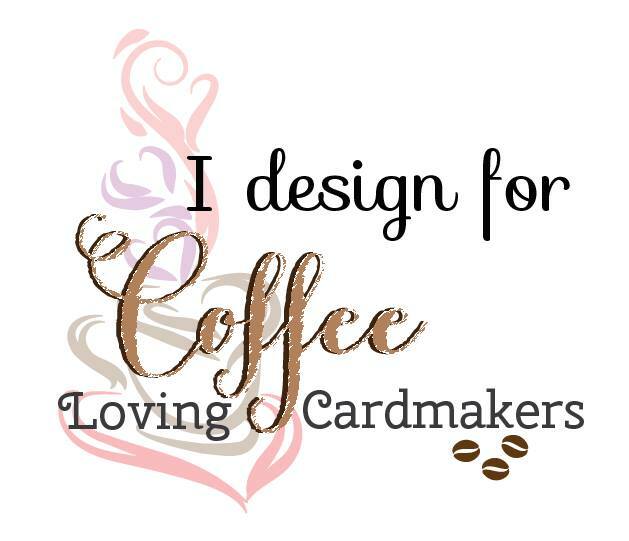 To celebrate today, Coffee Loving Cardmakers collaborate with Studio Katia in a blog hop! 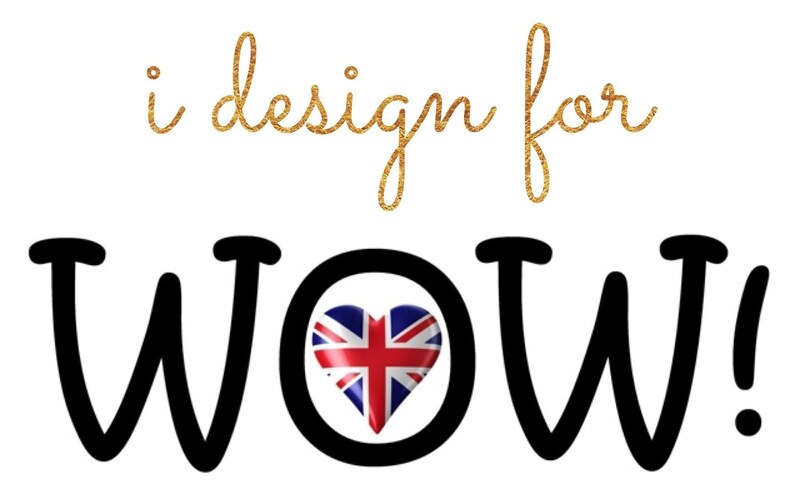 You should have arrived here from amazing Rubeena's blog, but if not, please check out full blog hop list at the bottom of this post. 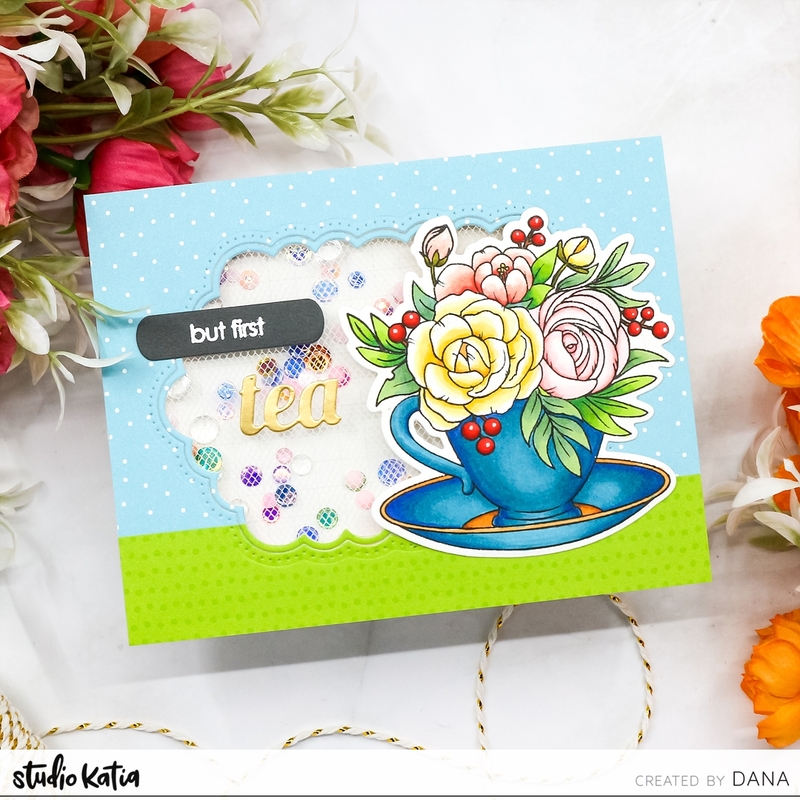 For today's card, I started by stamping Studio Katia A Cup Of Thanks Stamp Set image onto white card stock. I colored them in with alcohol markers. I added highlights to some berries using white gel pen and die cut the image using coordinating die. Next, I glued patterned paper onto A2 sized card stock and die cut shaker window using Studio Katia Dotted Scallop Oblong Die Set. I completed my shakers with Studio Katia Crystal Rainbow Confetti, October Crystals and Clear Round Drops Mix Two and foam adhesive. For sentiment, I die cut tea from metallic gold card stock using Studio Katia A Cup Of Thanks Dies. I white heat embossed another sentiment from Studio Katia Sweet Latte Stamp set onto a piece of dark grey paper and die cut it with Studio Katia Label Messages. 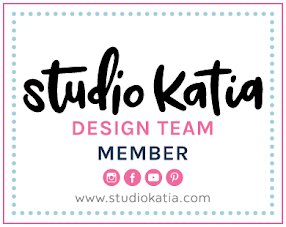 Studio Katia is giving away a $50(CAD) gift certificate from comments of every stops. To win, leave a comment in this post and check out more giveaway information in HERE. Your next stop is very talented Ilda's blog. Happy hopping, everyone! Dana, this is so sweet! I love the use of the netting rather than acetate. Great added texture! Breath-taken-away by your incredible colouring and design skills that elevate this pretty image to stunning! The netting is *the* perfect special touch! 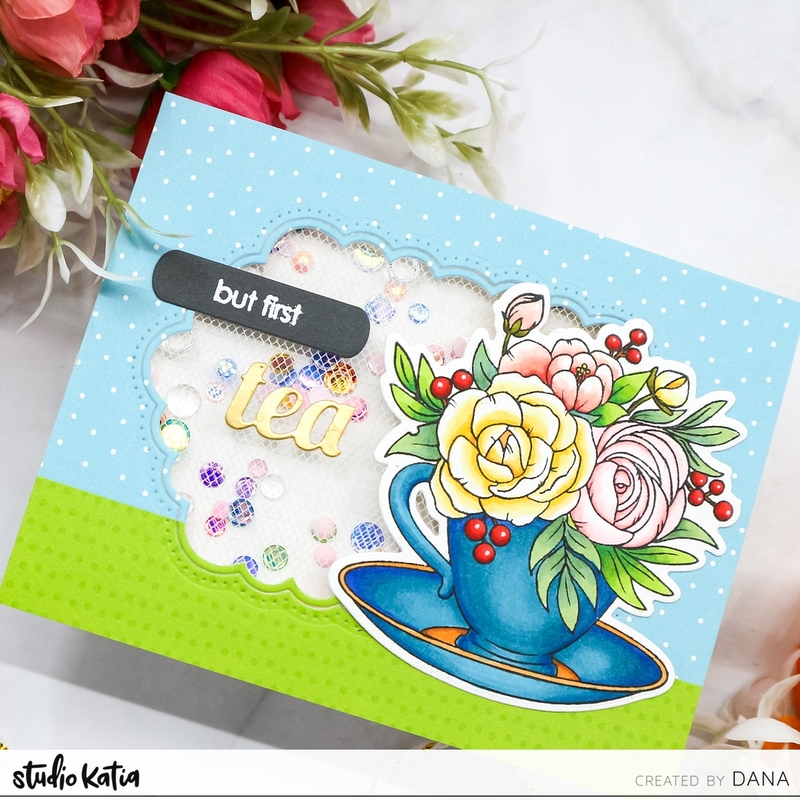 A wonderful card to celebrate International Tea Day! It is so fun to see these tea cards. Your cuppa beautiful flowers is great! So very pretty! And the mesh shaker is really fun! Love the bright colors and that fun mesh! Oh my, this is stunning!! I love shakers and I love what you used for the cover. Is it mesh? Oh!! I absolutely love this card! From the pretty papers used, the die cut out for window! Brilliant! the tulle instead of acetate~ love that!! Then there's the cup of flowers!! Beautiful!!!!!!!!! I love it Dana!! TFS!! Can't take my eyes off the coloring on that cup--Wowza. So beautiful and elegant, Dana, I love it! Oh Dana - this is so pretty! LOVE the blue tea cup and the netting! Love that Rainbow Confetti in your beautiful shaker card! That tea cup with the flowers is so beautiful! 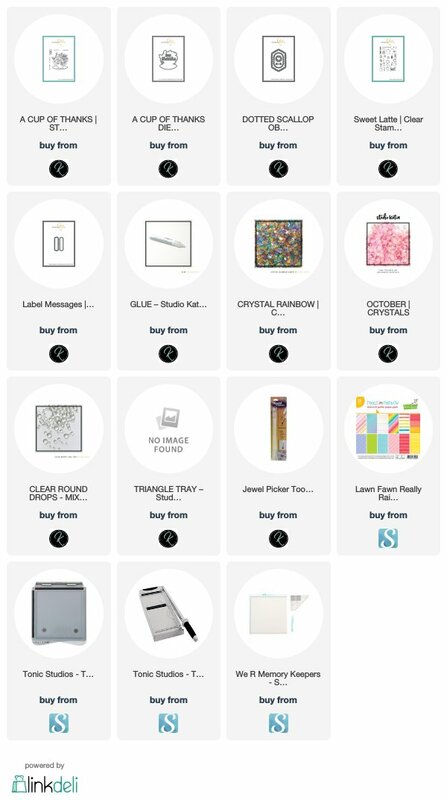 Love the colors you used on your card! Such a gorgeous card!! Your coloring is fabulous and I love the two-toned background! Happy International Tea Day!!! Your card is adorable!!! Fabulous colouring!!! Thanks for sharing these gorgeous card. 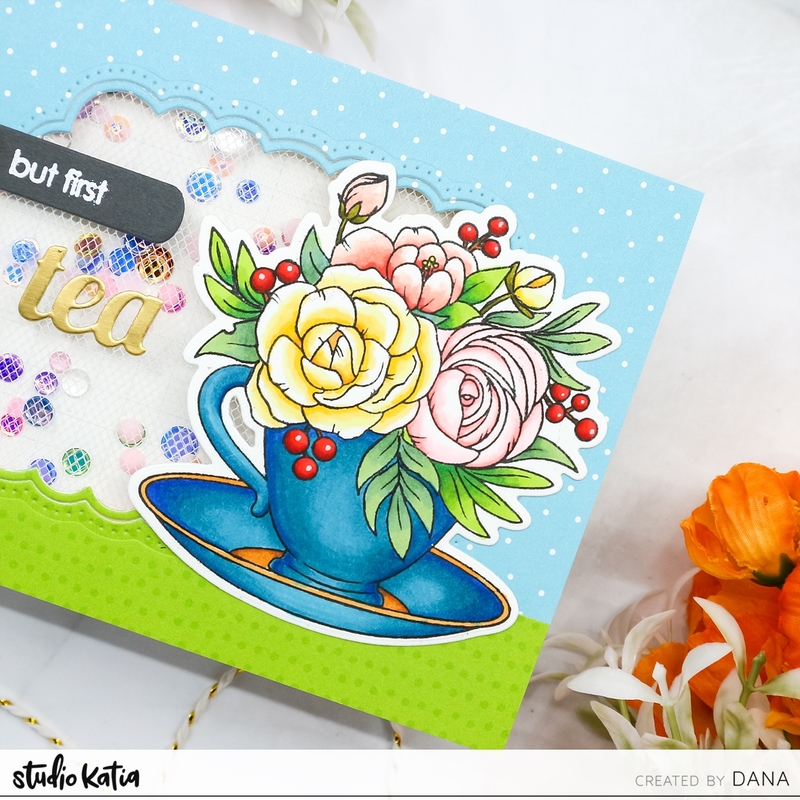 A lovely card and your colouring is just awesome, like the whole look of your card. What a fun card! Your coloring is amazing! Happy Tea Day! 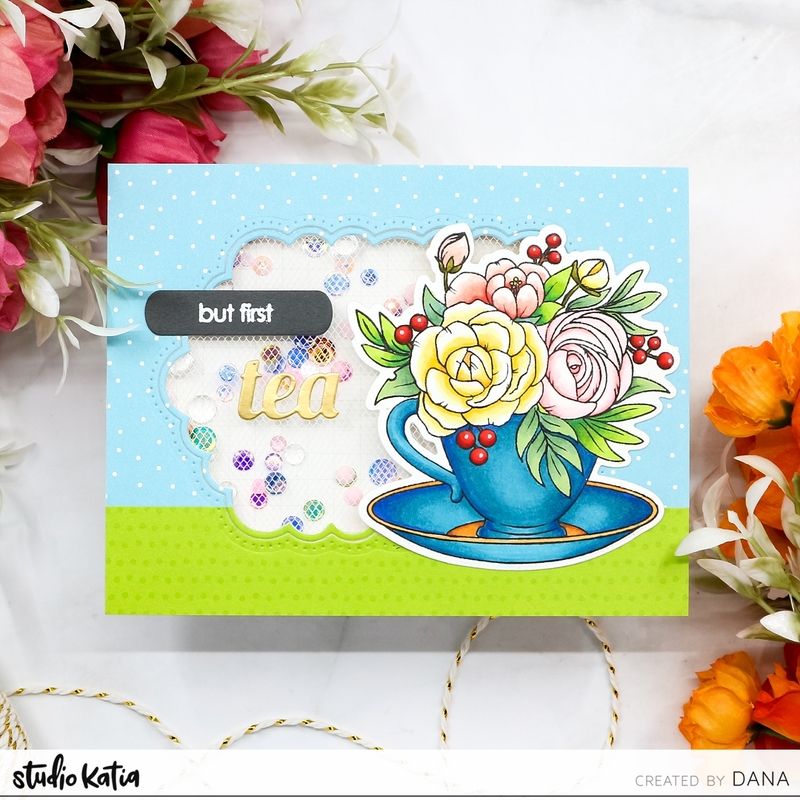 This is a bright and fresh teacup card! Love the rich saturation of color too! Your card is beautiful! I love the layout and coloring and the netting is genius! Beautiful! Love that bright blue cup and the netted shaker... fantastic! Gorgeous card! I love the contour of the die you used to cut the window! Beautiful coloring of the tea cup and flowers! Wow....I love this card so much....the mesh....wow....how did you do that? I love shakers and this is just lovely...thank you so much for sharing....Happy Holidays!!! Fabulous shaker! Love the netting... adds delicate texture to the design! Your card is beautiful. I love that it is a shaker card, I love the acteate that you used it softens it. Your coloring is beautiful, and I love the acetate, or is that tulle that you used for the shaker? Either way it’s a great design. I LOVE this, so sweet and pretty! off the card was a wonderful idea. Fabulous! Love the intense colors, fun shaker element and beautiful design. 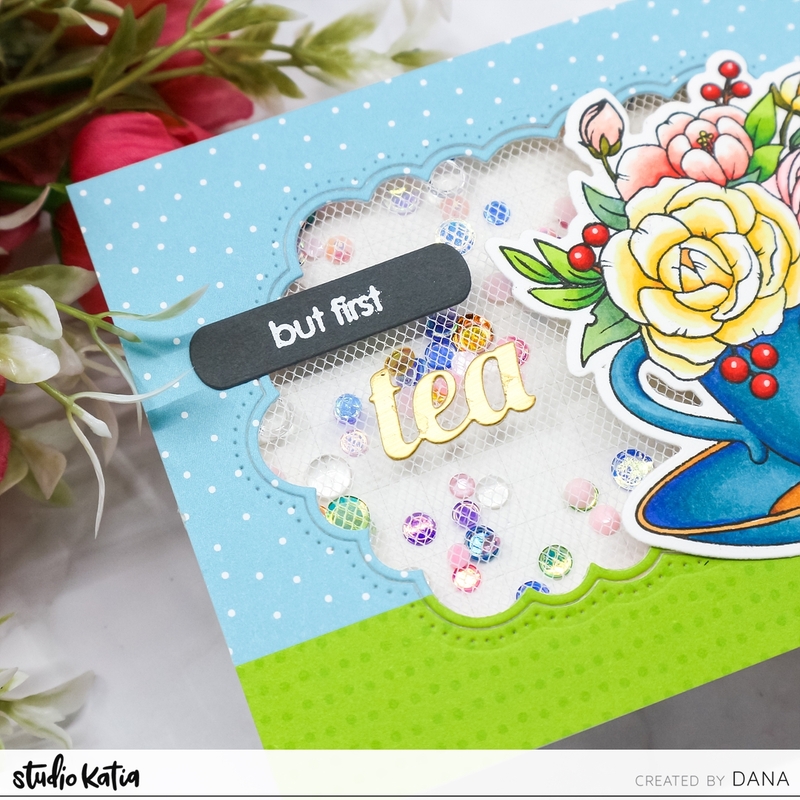 Dana, i love the tulle shaker card and the focal image is so wonderful! Wow Dana, this shows so delicate. Love your awesome card made with one of my favorite stamps. Thank you so much for sharing. Love this image and your coloring is gorgeous. The netting is a brilliant idea for shakers. It adds a certain femininity to the card. I love how you colored the teacup. Very beautiful. Wow, this is a stunning card! I love the vivid colors, the shaker and the unique netting. Very pretty colors and I like how you made the shaker. so pretty! Love that mesh looking layer! 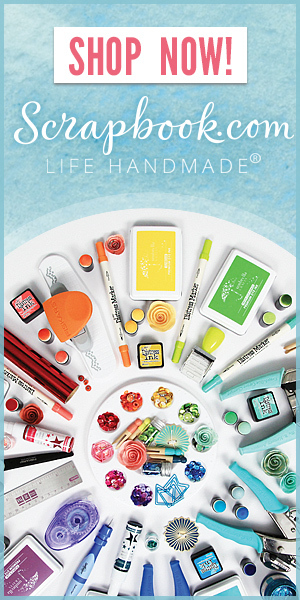 Fabulous card, lovin’ the products used!